A PROFESSIONAL DEVELOPMENT CERTIFICATE WILL BE PROVIDED TO ATTENDEES FOLLOWING THE EVENT. You do not need a PayPal account to pay online, you can use any credit card. If you have questions regarding payment, please email info@iaepnetwork.org. Investigating the environmental condition of real estate pursuant to a potential purchase has its challenges – but investigating just one piece of property is nothing compared to the complexity of performing due diligence to buy an entire company. ​Learn the critical questions to ask about your client’s deal and goals, and how that affects your approach to due diligence: asset vs. stock purchase; single property vs. portfolio; potential legacy properties – known as “Zombies” – that may no longer be owned by the company but for which the company may still retain liability; compliance issues with active operations; and potential enforcement actions and concerns that may impact a new buyer (including possible self-disclosure of identified violations to regulatory authorities). Our all-star panel of professionals (including seasoned environmental consultants and attorneys) will discuss how to approach these issues with your clients, and how to formulate a winning approach to environmental M&A due diligence. ​Speakers: Dave Moon (Terracon); Ken Jurish (Endeavour EHS); Yesenia Villaseñor, Esq. (Tesla Motors); and Lawrence Falbe (Miller Canfield). Pre-Payment is required. Exchanges are allowed for Corporate Members only. A nominal processing fee is added to purchase. Dave Moon is an Environmental Department Manager at Terracon’s Glendale Heights, Illinois office. His department’s responsibilities include managing/completing Phase I Environmental Site Assessments (ESAs), National Environmental Policy Act (NEPA) Reviews, Limited Site Investigations (LSIs), Focused Site Investigations, Leaking Underground Storage Tank (LUST) and voluntary Site Remediation Program (SRP) projects. 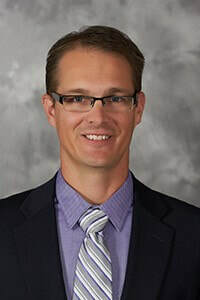 Dave graduated from Purdue University with an Environmental Science degree in 1996 and has been in the environmental consulting field for the past 21 years, both as a consultant and as a manager of environmental risk in the banking industry. Clients vary from developers, to attorneys and industrial/manufacturing businesses on projects that range from the traditional retail/commercial space, to portfolios of M&A autobody shops, and +100 year old heavy industrial properties. Areas of expertise include providing ASTM standard products with customized summary tables, risk evaluations, and creative solutions to reduce operational risk and manage liability for each unique situation. Mr. Jurish has over 20 years of experience in the environmental field. His responsibilities have included project management and business development for a range of projects including ISO 14001 development and implementation, to multi-site, multi-country environmental, health, & safety due diligence audits. Additional experience includes management of a diverse group of scientists, engineers, and health and safety professionals. Recent experience includes strategic consulting at the corporate level in developing EHS management and compliance assurance systems for two of the world’s largest oil companies and one of the world’s foremost finance institutions; numerous negotiations with state and federal environmental agencies over notices of violation and permit terms and conditions; development and implementation of SPCC and SWPP plans for various facilities ranging from remote wireless communications towers to retail stores to large integrated steel mills; development and implementation of pollution prevention/energy efficiency system for a major food manufacturer; and revision of Title V and Synthetic Minor (FESOP) air permits. 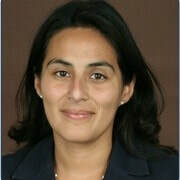 Yesenia Villaseñor is Managing Environmental, Health & Safety Counsel for Tesla Motors. She is also a mother, world-traveler and an advocate for judicial, ethnic and socio-economic justice. Prior to joining Tesla, Yesenia was in-house environmental and safety counsel for Exelon and Caterpillar. Previously she was in private practice at the Chicago office of Drinker, Biddle & Reath. She graduated from Chicago-Kent Law School and earned her MS in Environmental Management from the Stuart School of Business. Yesenia also serves as a volunteer and pro-bono attorney for organizations including the Hispanic Lawyers Association of Illinois and Heartland Alliance National Immigrant Justice Center. She has served on the board of the Hispanic Lawyers Association of Illinois (HLAI) as well as co-chaired the Hispanic Lawyers Association of Illinois' JD Mentors Program and received numerous recognitions for her pro bono work. 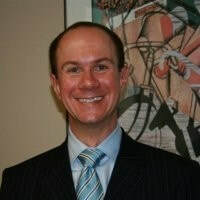 Lawrence “Larry” Falbe is a Chicago-based environmental attorney and a Principal at the international law firm of Miller Canfield Paddock and Stone, PLC. Larry focuses on environmental transactional support of real estate and corporate deals, environmental defense and litigation, Brownfields issues, environmental regulatory compliance and energy development/facility siting. Larry has more than 23 years of experience reviewing and analyzing Phase I and Phase II assessments to satisfy due diligence requirements, obtaining No Further Remediation Letters, evaluating the cost/benefit of transactions, and advising clients on potential liability and remediation issues. He also has substantial litigation and regulatory experience involving environmental issues, including CERCLA (Superfund), FIFRA, EPCRA, RCRA (hazardous waste), toxic torts, Clean Water and Clean Air Acts, underground storage tanks, and nuclear fuel processing. He has represented clients involved in enforcement actions by federal, state, and local authorities, and negotiated numerous compliance programs, consent decrees, and settlements. Copyright 2019 IAEP All Rights Reserved. ​No Image or Text can be reproduced from this site without permission from IAEP.